Gifting things to children is tricky business. We mean this and you will probably see why. Gifting stuff might not be very expensive, but it certainly requires a lot of planning, lest you end up with the wrong item for the wrong person. For children, generic gifts like sweaters and shirts are common – you probably don’t need a child to tell you they’re tired of the same old gifts being dished out by their families and friends each year. If you need to be accepted through your gift, you will have to bring in some changes. 2. Why Not Try A Game of Spikeball With Some Friends? 8. We Know They All Like RC Stuff. Did You Look for It? 10. Speaking of Indoor Games, Why Not A Foosball Table? The drone is a great thing to gift. More and more young people are getting fascinated by this wonderful device as it allows them a chance to see what they cannot from their little feet standing on the ground. Drones are versatile in many aspects, as they can be used from scouting to photography or just flying for fun. In any case, quadcopters are so popular these days that to many of us, they have grown to be a necessity. If you’ve not heard of spikeball, we don’t blame you completely. Spikeball involves a team and therefore, your young man will be occupied and will bring his friends along to play too. 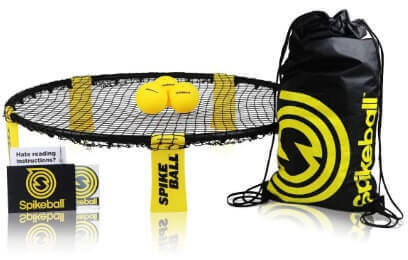 It is known by an alternative name, roundnet and if you know what roundnet is, you basically know what spikeball is. If you don’t there’s a link to help you out. You must have heard about the XBox One S, or the XBox, at the least. If the young man you are gifting is an avid gamer, consider presenting him with the latest version of the XBox, and he will immediately love it. We promise. 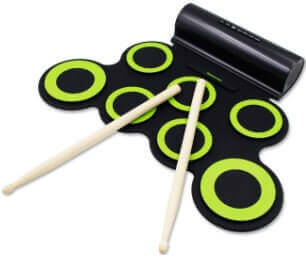 If you think he’s not too noisy already, allow him to push on his limits with a brilliant electric drum. On the bright side, if he wishes to be a drummer (they are musicians too, and good ones at that), prepare to put up with his ‘practice’ of high volume ‘music’. For all the young innovators you know of, there is nothing better than a robotics set to allow them to expand and grow their imagination. We’ve heard a story of a young boy who used his robotics set to build an arm that would bring him the nearest packet of crisps, all through finger movement. Clearly, a robotic kit is not one of those baby gifts for boys. The love of football unites the world. We all have memories of going crazy over a certain team or player and putting up posters of them in our rooms and all around our houses. Being the world’s most popular sport by unanimous choice, football is both engaging and interesting. At this age, you could give him a new football set to replace the old one or fulfil his many month-long dream. After all, football fuels our love and there is no denying it. Okay, so this one could be one of the first communion gift for boys too! 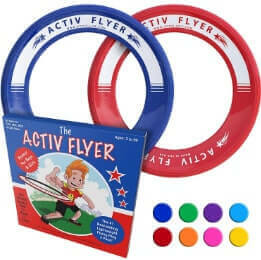 The frisbee is an ancient and yet, constantly popular game. For those who are conscious of their children’s unending use of all things digital, a frisbee might just make him go out and play! It is a wonderful gift, he’ll have fun and yet get his dose of outdoor play and the sun. Not a bad choice at all! 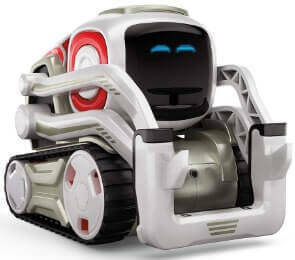 RC stuff is really cool for many kids. For many adults too, getting RC merchandise is both fascinating and useful. Imagine a fancy RC car or a brilliant airplane or any other type of vehicle the young man is fascinated with. 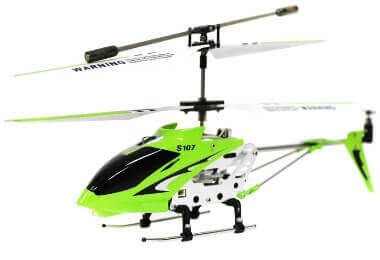 Piloting RC stuff is a great hobby among people at this age and we’re almost certain that your gift cannot be turned down. A digital keyboard is different from the normal keyboard because it replaces the need to individually buy a separate mike and a karaoke set, which is an undesirable effort. Therefore, the easy alternative is the convenient digital keyboard, famous in modern markets. All one has to do is plug it into the socket and begin playing! You will be helping him nurture a hobby, while simultaneously improving his concentration and interpersonal skills. 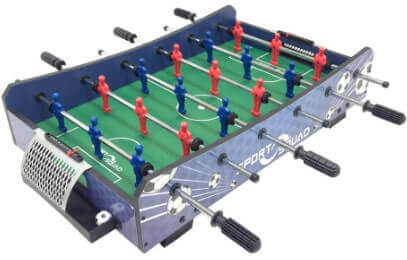 The foosball table is in demand owing to the addictive game of foosball that can be played on it. Foosball, a tabletop knockoff of the universally loved game of football, is a play of strong wrists and concentrated minds. It can also be a great indoor game, especially when he’s plagued by rainy days that do not let him run out to the fields to play. A game of foosball is as exciting as it is engaging, but more than anything else, it will also improve his overall ability to focus. Remember that uncle who used to show up on your birthday with a goatskin sweater? We all probably do not like a whole bunch of goatskin sweaters each year, but what all the children in us can agree with is a set of DVDs for gaming. A word of caution: please ensure the games you gift him are child approved and not meant for adults. Sometimes, however, adults can be children too! Children don’t seem to go outside and play nowadays. Most parents blame the internet and digital age for the sudden and unwelcome change in behaviour, but that won’t be enough. If you’ve got to do something about it, you need to get them motivated. The easiest way to accomplish this? Gift them something to take them out. 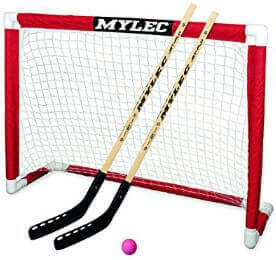 A street hockey set, for example, will not only allow them to go out and have fun, it will also engage a team of friends, resulting in quality time. A lot of kids nowadays needs digital access. While it is unlikely that a very young child be constantly exposed to the blue light of a computer or a tablet screen (it can affect their vision), at the age of twelve, we would not see it as a major concern. After all, the world as we know today is completely digital with access to important resources. Communication with people and other important factors are being driven by the internet. Facilitate its access with a smartphone perhaps. 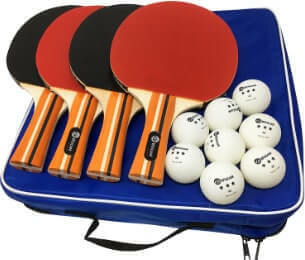 Why not consider a wonderful table tennis set? It won’t cost much, and it will still be a very good choice. Table tennis improves eye-hand coordination, enhances concentration and serves as brilliant extracurricular activity that is both exciting and gripping. This will keep your boy entertained and occupied for hours. 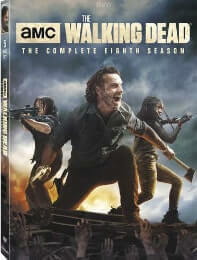 This is one of the best gifts for 12 year old boys. Music is one of the most important parts of a person’s life. As the experts have pointed out in their research, music is both a great skill as well as an improvement therapy for the body. So, if you wish to gift the young man a musical instrument, count in our support for your choice. Music is something we will never disagree with! Twelve year olds are at one of the most important junctions of their lives. It is from here that they will take the large steps through the teen ages to arrive into adulthood and take on the world. Allowing them clear exposure and separation from the children’s fairy world is not just necessary, but crucial in setting the stage for further development. They will learn as they grow, about the complexities of life and the real problems that are not as simple as Cinderella’s glass shoe. So, present them with the sample tastes of adulthood and let them settle for their future in their own sweet manner.